Welcome to the hotel California.. ack. I cant get that song out of my head now. Very nice photo, the color adds ALOT to the feel of the photo. Cool shot… my next travel destination this summer! 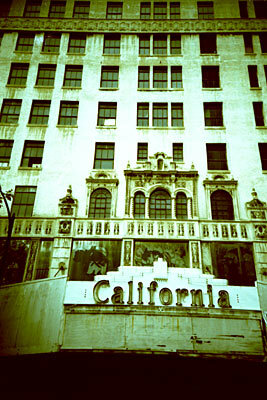 This is definately my favorite building in downtown! I wish someone would come along and fix it up. Too beutiful to let go.